I won't spoil the fun, some of these proposals are quite controversial. The 427 cut was a bit more extreme than I thought. Looking at this consultation is like TFL took some of there ideas from the fantasy thread of this forum. I can't believe that they would butcher the 140 but kind of saw it coming. I'm surprised that they are not butchering the 105 as well. 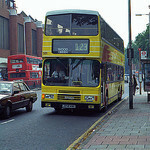 I think that the 440 should continue to Wembley to provide a link between Acton and Wembley. 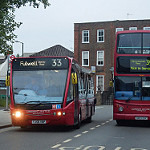 The 306 should continue to Acton Town Hall to provide a link between Acton Town and Fulham. To provide additional capacity to the 278 because there's no way a single decker can cope on its own between Hammersmith and Acton. The 427 link between the western and southern arms of the Southall Town Hall junction could be quite popular actually. It would have been good to extend the 427 to Norwood Green using the full length of Merrick Road to provide a quicker than the 120 towards the town centre (which may help me… ). Maybe even extended further to give Tentelow Lane a bus service, probably terminating at the Poplar Avenue triangle. The E5 change gets rid of a hail-and-ride section, but also makes it faster between Southall and Greenford, and I'm 99% sure will be the fastest between the two places, with the 95 coming second and 105 ending up last. 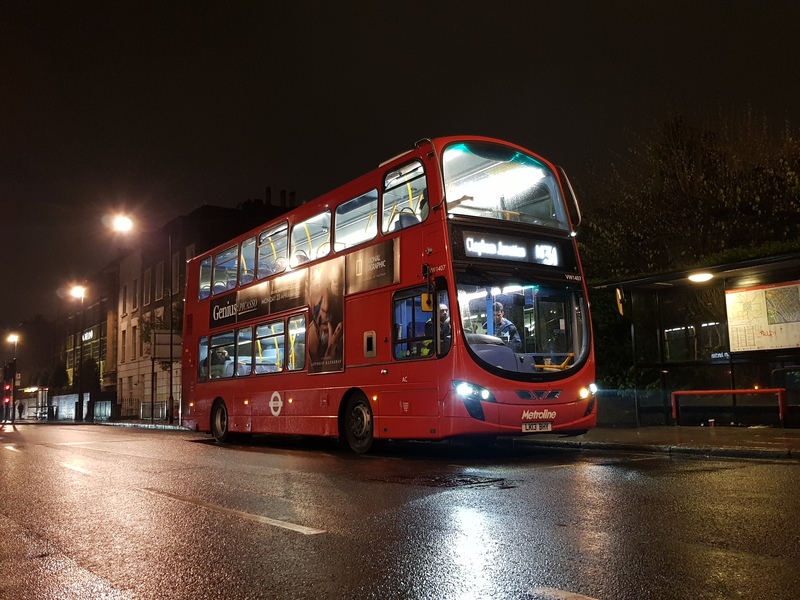 It looks like the 112 is being lengthened, duplicating the 65 Ealing-North Brentford, then a run along the Great West Road duplicating the H91. Seems to be a very long route. Quite a few surprises in there that will need some more reading and thought. The 112 and 278 are in the "exciting" category while the 140/X140 are in the "why bother" category. Two immediate reactions are - 427 cut is huge and there appears to be no replacement capacity being put in. I am struggling to see the point of both the 218 and 306. They could be easily combined as one route needing fewer buses and double deck throughout (assuming there's no restriction in the West Acton area). The driver has been instructed to wait at this bus stop for a short time, to help waste your time even further. Nah, it's "Metroline vs Abellio" to fight to the death. At one point the number 218 suggested that it would run to Roehampton and would effectively replace the current short workings on the 72. Interesting the 391 is loosing a bus per hour and staying SD. I know the Fulham section is going but surely the high demand for the route that has resulted in calls for a DD conversion was also between Hammersmith and Richmond so I think reducing the frequency to every 15 mins could be a bad move. Very very bad move for when the district line is out and TFL don't bother with Rail Replacement busses ushering everyone onto the 391. Not only that but a useful link gone. TFL with the changes are pretending that everyone is suddenly going to use Crossrail. Wrong, wrong, wrong. But hey it gives RATP a few extra single deckers to replace older buses. The 391 is often relatively quiet, starting at Richmond, the section to Manor Circus has multiple bus routes, so won't make any difference here. Manor Circus to Kew Gardens station is along a road with horrible parking, in blunt terms if you can afford a house in this area, probably going to use District or Overground towards Hammersmith. From Kew Gardens to near Chiswick Roundabout competing with high frequency double decks on 65. From Chiswick to Hammersmith there are high frequency routes nearby (and District line) so it tends to get those who don't want to walk to faster parallel alternatives. It is clearly being altered to a low frequency infil route, rather than a trunk route. Although not part of this consultation, somebody must have looked at 65 frequency to have extended the 112 by duplicating 65s northern section, I suspect there is a provisional change for the Richmond-Twickenham area which will follow. 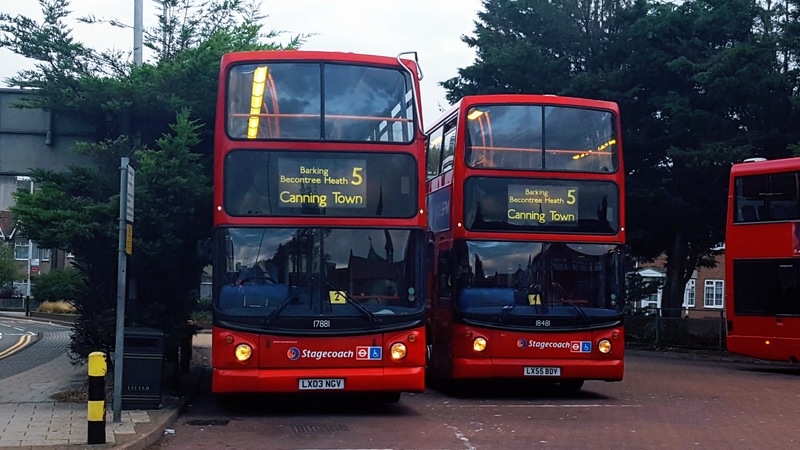 It makes no sense to continue to have multiple 55 capacity routes running Manor Circus -Richmond-St Margaret's-Twickenham now that the weight limit of Richmond bridge is higher and it can take double decks. An expensive 10 car train scheme with frequency increases is currently being implemented in the area which could cause a similar mode shift. 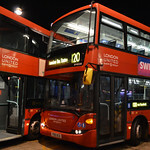 If I have read the final low emissions corridor correctly (Chiswick-Hammersmith-Kensington) then any route via Hammersmith seems to need euroVI buses once it starts, at the moment virtually no routes in Hammersmith use euroVI so clearly there is some fleet thinking going on here. But I haven't yet got my head around what is the hidden agenda behind this first phase of west London changes. Perhaps subsequent night bus changes and links to night tubes rather than current duplicating them might make things clearer. Incidentally I am not convinced the 140 and X140 changes really gain very much. I also thought the point of these changes was to increase capacity to Crossrail stations. The single deck 218 is a reduction over the DD 266 between Acton and Hammersmith with the new 306 stopping just short of Acton Mainline. Seems TfL have forgotten to set out the X140's frequency in the main text of the consultation. I had to dig around in the Technical Note document to find the frequencies. That's a bit poor given TfL have had months and months to prepare all this stuff. And I just love the way that none of the frequencies of the 140, X140 and 278 are compatible with each other or compatible with Crossrail's frequencies into Heathrow. Also worth noting that the E1 is getting a frequency reduction daily but this is buried away in the Technical Note and not in the body of the Consultation text in any level of detail. The U5 is also getting extra AM peak jnys into Uxbridge - again not in the consultation text. What on earth have they been doing to make some errors / ommissions? Not everyone will plough through 70+ pages of the Technical Note. Very unsurprising that they've missed those. I think there are several routes in this plans where the original ambition has been curtailed. Part of this is down to funding and some down to Hammersmith Bridge not being repaired. Therefore it is possible that in later years TfL may well extend the 440 to Wembley or send the 218 to Roehampton. The other thing that is telling is the shortage of viable stand space. It is clear that TfL have had to bodge several of these proposals in order to find suitable stand space - the 223 being cut back to provide space for the X140, the 427 cut to provide the 266 with its stand, the 306 being sent to Askew Road because there's no space in Hammersmith. Also worth noting that the 94 is not part of these proposals despite its contract being extended to align with "Crossrail changes". I assume it's got swallowed up in Oxford St changes.